We all know that in Silicon Valley (and anywhere really! )…space is a premium. While the assumed trend of home ownership is to keep upgrading and buying bigger and better every 7-10 years, Host Mike D’Ambrosio & Cindy Carey are here to share that lifestyles are changing, and home size is following suit. 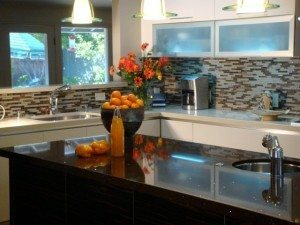 As Co-Owner & COO of Starburst Construction, Cindy is more than familiar with recreating spaces. Today she will share what homeowners really want in terms of location, comfort and lifestyle…and you might be surprised to learn that size does not always matter. The layout and character are often the key to a desirable (and even award-winning) place to call home. Join Mike & Cindy TODAY at 3pm PST on AM 1220 KDOW, for an entire afternoon on what makes a home specialized today. Features such as technology in the home, energy efficiency, flexible gathering spaces, fitness rooms and green design are all the rage…so be prepared to learn what trendsetters are saying about home sweet home today. Turn that dial to AM 1220 KDOW from 3-4pm PST, listen streaming online at www.kdow.biz and text Mike during the show – 408.630.0101 . Special thanks to Cindy Carey & Starburst Construction for bringing their time, energy & expertise to Real Estate Radio LIVE.